Bethlehem, the birthplace of Jesus, is also home to a small Christian community within a Muslim majority. This trip offers the opportunity to meet and interact with individuals and grass roots community groups involved in issues of peace, justice, reconciliation and care for the marginalized. Learn of the biblical and historical importance of the Holy Land, the local church, and the current realities and challenges of Palestinians and Israelis whose lives are impacted by the Palestinian-Israeli conflict. • Cook and savour a traditional Palestinian meal with inspiring women living in a refugee camp. • Help a Palestinian family with their olive harvest. • Gain biblical, historical and cultural insights into the Palestinian/Israeli conflict. • Interact with special needs children and young adults at the House of Hope and L’Arche. • Float on the Dead Sea and sail on the Sea of Galilee. • Visit Yad Vashem (Holocaust museum) and Musalaha (reconciliation ministry). This one-of-a-kind trip to the Holy Land was organized and lead by Beverley Timgren, a Canadian who has spent her adult life serving in the Middle East. This trip interacted with dozens of local people (Christian, Muslim, Jewish) who are impacting their communities through projects that address issues of peace, justice, and reconciliation, and care for the marginalized. • Cooking and savouring a traditional Palestinian meal with some of the inspiring women living in one of Bethlehem’s refugee camps. • Exploring Biblical sites in Bethlehem, Jerusalem, Nazareth and the Galilee. • Helping a Palestinian family with their olive harvest. • Gaining Biblical, historical and cultural insights into the Palestinian/Israeli conflict through interactive sessions with the academic faculty of Bethlehem Bible College. • Singing and playing with the special needs children who reside at the House of Hope. • Floating on the Dead Sea and taking a boat ride on the Sea of Galilee. • Visiting Yad Vashem (Holocaust museum) and conversing with Messianic Jews working for reconciliation with Musalaha. Participants were stretched, challenged, inspired, and forever changed as they encountered Jesus and encouraged His living stones in this holy yet troubled land. 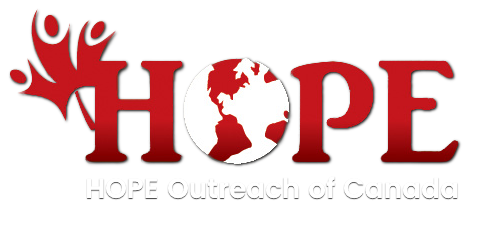 or HOPE Outreach: office@hopeoutreach.ca The Application Form can be downloaded here on the RESOURCES page. Or call (519) 473-4267. After many months of preparation, HOPE’s 2013 Mission Team departed for Bethlehem. The goal: to share the love of Christ in a tangible way in the place of His birth. For sixteen days our team of seventeen missioners walked where Jesus walked and served where Jesus served. It was exhilarating, challenging, at times exhausting, but above all, a rewarding time. The audiology team treated 107 patients and the dental clinic served 88 patients. Our women’s team ministered to our Palestinian sisters in Christ in Bethlehem and Nazareth. Susan Allison shared her story of God’s faithfulness in the midst of trial. She lost her husband several years ago to muscular dystrophy. 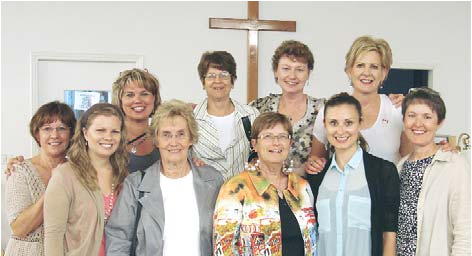 Earlier, in June of 2009, 24 devoted missioners and pilgrim tourists, spent two weeks in the Holy Land. 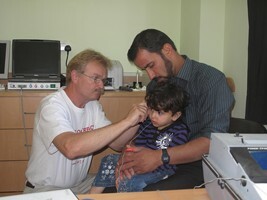 The main focus of our mission was to conduct an audiology clinic at Dar al Kalima (ka-li-ma) Health Centre. A total of 80 patients were treated, a few adults, some teens, mostly children. The oldest patient was over 75 and also blind, the youngest under a year. The patients were tested, prepared with molds, etc. then fitted with aids which were then set electronically for each specific patient. They were then, with their parents, taught how to clean and care for the aids. A small supply of batteries was given to each patient to last for several months. While the young patients were waiting to be treated, they were engaged in a day camp programme conducted by some of our youth missioners, with local college students as assistants and interpreters. Because the children were deaf, this had to take on some creative methods, pictures, flannel-graphs, cut-and-paste, etc. The main theme was parables. Some of the men on our team converted an old cistern outside one of the buildings at BBC into a prayer room. This was done in concert with local contractors, using mainly local materials. This work was a compliment to the expansion project that is underway which involves some reorganization of space. Our constructors did a marvellous job and the people at the college were profoundly grateful. We have heard since that the room is in use and is much appreciated.